On 13 Mar, 2019 By Tilly With Comments Off on Why I would recommend now>press>play in a heartbeat. 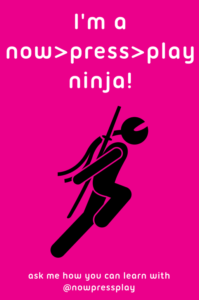 Rachel Orr explains why she would recommend now>press>play in her brilliant guest blog post. now>press>play is an immersive resource that can stand alone, integrate into all curriculum areas, be a hook or stimulus to start a lesson and can also be used to create your own experiences. 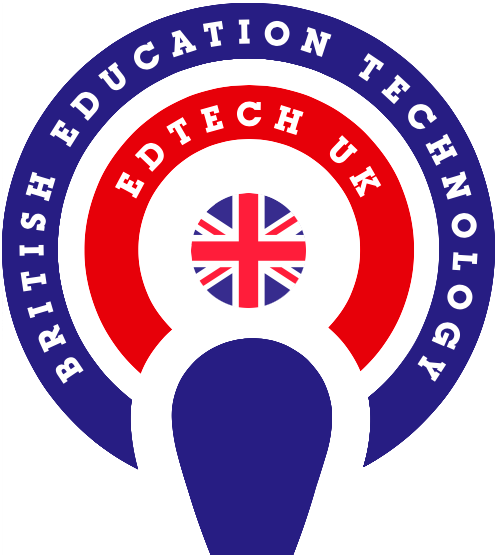 I first donned a pair of pink headphones at a technology conference in the North East of England through Animate2Educate. now>press>play were presenting at a teachmeet event and I was invited to take part in one of their audio-adventures! Ever since I have had the privilege of sharing this ORRsome resource with teachers across the country in a variety of schools. These include special schools, mainstream and private schools. I was working on fairytales with a challenging reception class. Some children were unable to speak and others did not like music or loud noises. One young chap in particular wore ear defenders and I thought now>press>play might be a great way to engage him in my lesson as he very rarely engaged in much with his teacher and classmates during the week. We used the story of the Gingerbread Man, one of 70 Experiences provided by now>press>play. It was great to see how well the children followed the instructions in the story they could hear. The teaching assistants in the classroom said it was a moment of awe and wonder, or should I say ORR and wonder, as they watched children they were there to support on a one to one basis engaging and listening. We became the Gingerbread Man, we were baked, chased and eaten! The children did not have any inhibitions and as soon as they saw me drop to the floor, crawl and roll around, they were totally immersed and were all doing the same thing. The role play and drama that ensued was amazing. We baked gingerbread, made our own recipes, decorated our gingerbread and began to write. Yes, you could read the book, download an e-book or PPT but the auditory experience of now>press>play allows you to become the characters and immerse yourself in the story. I always use now>press>play alongside other resources so that the staff and children see how the connections are made and it isn’t simply time to put the headphones on. At the start of the following lesson with the same class, the children spotted biscuit crumbs on the carpet, tables and their writing books. The TA began to sweep them up (well-primed.) The children asked what they were doing and they replied they were clearing up gingerbread biscuit crumbs. This immediately sparked discussion and a detective spirit. One child asked if the school’s CCTV would have spotted anything. I used the app, FXGuru, to film the Gingerbread Man Escape out the classroom when they weren’t at school. You should have seen their faces as they realised the Gingerbread Man had been in their room! I mentioned that he had left them a note praising their writing and looking forward to reading more. 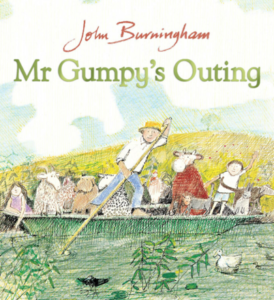 Having heard recently of the death of author John Burningham, it was so special to work with nursery children using Mr Gumpy’s Outing. Mr Gumpy is not a prepared experience on now>press>play. I worked on this myself, but it shows the versatility of the resource and how much you can involve all children in writing, scripting and recording an experience. I retold the story of Mr Gumpy using the tablet that comes in the kit. It was important to leave appropriate pauses so that the children could react and respond to the characters in the story. I recorded sounds effects for the animals and inserted them into the story. We used the hall and laid PE mats down the centre to become the boat. We sang new words to the tune of ‘Row, Row, Row Your Boat’ and introduced each character as they climbed into the boat. Once recorded and saved onto the tablet, you can play it through the pink headphones. Imagine the immense possibilities of recording your own with the children, getting older children to record for younger children – it goes on. The children began joining in with the sound effects and retelling the story pattern even though they were wearing the headphones. They can’t hear each other and it’s rather amusing to watch. I’ve already mentioned using FXGuru to add another dimension through ‘mashing-up’ other resources. 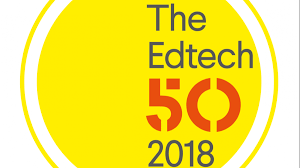 But another great resource I have used alongside is Pobble 365. There is a huge collection of pictures accompanied by ideas for writing as a stimulus. 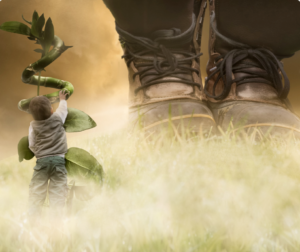 I came across this great picture when looking for a resource to complement the now>press>play Jack and the Beanstalk. I also used FXGuru to simulate a beanstalk coming out of the floor. We were able to bring a lot of music using high/low and loud/quiet into the story with the Giant stomping and Jack tiptoeing around and a display of writing followed. now>press>play is such a versatile resource that has endless possibilities across the whole curriculum. I am proud to be an NPP Ninja. Rachel Orr – Education Consultant, Ex Head Teacher Extraordinaire.